The J. Willard and Alice S. Marriott Foundation has made a generous commitment of $1.5 million to help fund construction of a new foodservice lab at the University of Central Florida’s Rosen College of Hospitality Management. The facility will be named the Marriott Foodservice Lab. The new 3,500-square-foot lab is needed to accommodate rapid growth in the college. Currently more than 1,400 students in six different courses learn about design, catering, franchise development, food preparation, cost controls and managerial skills in two existing foodservice labs, which closely resemble modern restaurant kitchens. But as teaching labs they are also equipped with video monitors and other instructional enhancements. The new lab is expected to be completed in 2019. Viewing the hospitality and tourism industry as one of the world’s most important drivers of economic growth, the Marriott Foundation seeks to help educate and prepare the next generation of hospitality leaders by supporting programs that offer exceptional curricula, real-world experiences, and opportunities for students to engage with mentors in the field. 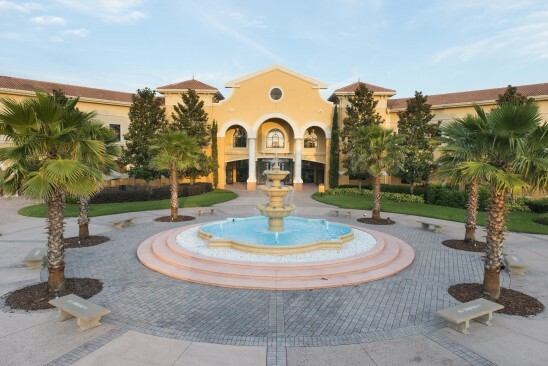 The Rosen College of Hospitality Management opened the doors of its new campus in 2004 to just 75 students. Today, it is ranked among the top five hospitality management programs in the world, enrolling more than 3,700 students and offering five undergraduate and two graduate degrees, in addition to a Ph.D. in hospitality management.